First things first, please learn how to throw a curveball correctly, to prevent arm injuries. Having said that, the curveball is the “Mother” of all breaking pitches. When a pitcher throws a great 12 to 6 curveball (that means a big breaking curveball that falls from top to bottom, like on a clock) even the guy in the cheap seats knows what he threw. A pitcher might throw a slider and not everyone will notice, but the big roundhouse curveball is hard to miss, unless you are the batter, lol. A great curveball pitcher will start it at the head of the batter, or even behind him. The batter’s knees will buckle and he will lean back out of the way. Then all of a sudden it breaks down and over the plate. 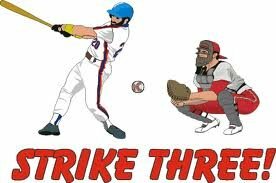 That pitch has caused many a called third strike. Learning how to throw a curveball is not a bad idea, if you are old enough. Because of the strain on your arm, trying to throw a curveball before the age of 14 or 15 is not a good idea. And when you do decide you are ready, like I said above, be sure and learn the proper mechanics. The arm motion for a curveball can injure even a major leaguer’s arm if thrown improperly. Yes, I’m giving you a couple of warnings before I even tell you how to throw the curveball. When I was about 13 I learned how to throw a curveball, only not the correct way. 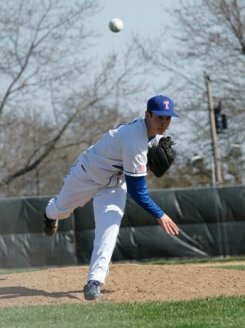 The following year my arm was mush and my pitching days were over. So listen closely. Do not ever twist your elbow or arm when throwing a curveball, or any pitch. That’s what did me in. I was twisting my arm when releasing the baseball and my elbow paid the price. Even today, many years later, my throwing elbow feels like jell-o. And do not throw the curveball for a long period of time. 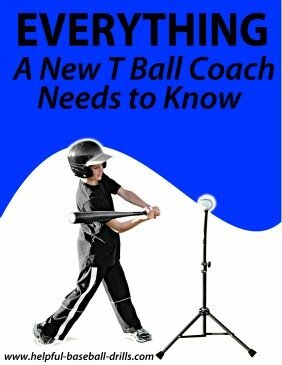 Yes, it takes lots of practice to learn how to throw a curveball, but don’t try to learn it all in one session. Only throw a few every couple of days. How to throw a curveball will usually have as many different answers as people you ask. And that includes the curveball grip. Where the fastball pitch and grip are pretty much the same worldwide, the curveball is not. And it is not that one grip or pitch is right and the others wrong. The key is to experiment with the grip and find the one that works best for you. I’m not going to get into why the curveball breaks, because I don’t understand it. But I do understand that making the baseball spin fast makes it break and drop. Our curveball starts by holding the baseball with your index and middle fingers where the seams are closest together. Place the index finger on the inside of the seam, as seen in the picture, and the middle finger on the outside of the seam. This causes the thumb to land on the underneath seam. 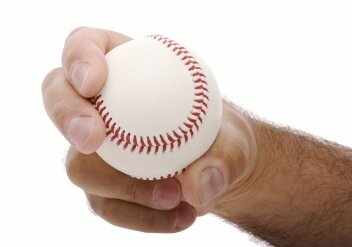 You should be squeezing the baseball with your middle finger and thumb. And as with every pitch, your wind up and arm motion should be the same as your fastball. You are squeezing the ball with your middle finger and your index finger is along for the ride. When you bring your arm down, you play like you are chopping a board in front of you. Your wrist is cocked and lock in a position that allows you to chop a board. The thumb winds up on the body side on top. This should create a spinning motion on the ball and cause to break shortly before reaching home plate. 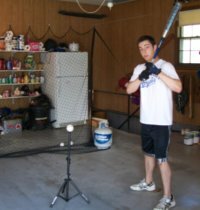 The key is to get enough spin on the baseball without twisting your elbow. And this can be done with the downward chopping action. This should make the ball spin right off your fingers. There should be “NO” wrist twisting when throwing the curveball properly. Do not lock the wrist, but allow it to be loose, which lets the pressure of the middle finger create the proper spin. The follow thru is the last step in how to throw a curveball. The element of surprise helps any pitch that you throw. 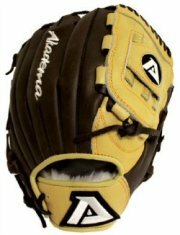 If you haven’t been throwing the curveball much, then it might be the pitch to throw on a 0 and 2 count or a 1 and 2 count. But the last thing you want is to have a batter down 0 and 2 and throw him a hanging (not breaking) curveball. A good hitter will make the outfielders chase a hanging curveball. Trust me, I have seen that happen many times. I would make the curveball the fourth or fifth pitch to learn. You should have the fastball, two seam fastball and change up down pat before attempting the curveball.